On Monday, January 30, The Lake Theater & Café is proud to host an intimate evening of soulful sounds featuring two of the Northwest’s premier musicians: New5 recording artist Andy Stokes and Portland’s Boss of the B-3, Louis “King Louie” Pain. Oregon Music Hall of Fame inductee and Muddy Award winning vocalist Andy Stokes has one of the most powerful and soulful voices on the planet. As the leader of the band Cool’R in the 80s he set the standard for soul in Portland and The Andy Stokes Band continues to deliver night after night. Stokes recently released his newest recording, Full Circle, that has already received high acclaim. 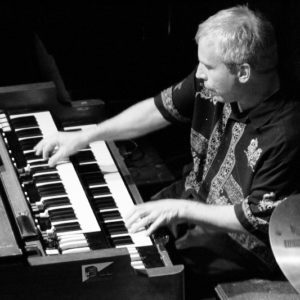 Louis “King Louie” Pain has long been one of the foremost keyboardist in the Portland area, working with icons like Paul deLay and Sweet Baby James Benton. Downbeat magazine named his most recent recording with LaRhonda Steele as one the best releases of 2016. Filling out this exciting group: drummer Edwin Coleman III of Soul Vaccination and The Thunder Brothers. The Lake Theater & Café is located at 106 N State Street in Lake Oswego. Tickets for this 7:00 pm show are available at laketheatercafe.com. General admission tickets are $15.00. Special VIP tables are $80.00 and can seat four in the lower section of the theater closest to the stage.